James Wan posted a new set photo from the set of The Conjuring 2: The Enfield Poltergeist (2016) with Wan, Vera Farmiga, and Patrick Wilson. New Line Cinema and Wan will be releasing The Conjuring sequel June 10, 2016. The Enfield Poltergeist is the story of Peggy Hodgson (played by Frances O’Connor), who at the time was a single mother raising four children. Moving furniture and levitation ensued including the ghost’s communication through one of the daughters. Ed and Lorraine Warren soon after visited the home to help the distressed family. Chad Hayes and Carey Hayes will return to write the screenplay. Some horror films make it to popular horror movies status resulting in a horror franchise that may live up to the original films success. First we get the sequel then sometimes end in a trilogy, but sometimes the franchise spans beyond three films. 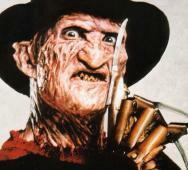 Let’s have some fun as we show you our top 5 horror movie franchises of all time. AMC’s Fear the Walking Dead Season 1, from creators Dave Erickson and Robert Kirkman, is already announcing the Blu-ray / DVD release date for this upcoming December 1, 2015, via Anchor Bay Entertainment. The first season was a short 6 episode season which aired the season finale this last Sunday, October 4, 2015. 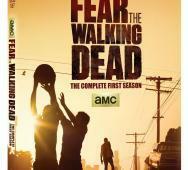 Fear The Walking Dead: The Complete First Season will feature a 2-disc set with character bios and “A Look at the Series.” The first season of Fear the Walking Dead included Kim Dickens, Cliff Curtis, and Frank Dillane. 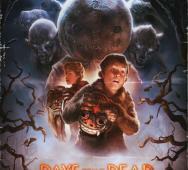 Michael Dougherty is bringing us a graphic novel titled Trick ‘R Treat: Days of the Dead. 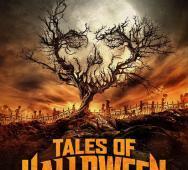 This series will be a special 4-part series with all-new Trick ‘r Treat Halloween tales. This time around we will travel deeper in time as some stories take us back to the 1950s. I am still waiting on the Trick ‘R Treat 2 / Trick ‘R Treat sequel so I will most likely grab this horror graphic novel via Legendary available now. Cover art, preview page, and press release details below. AMC‘s Fear the Walking Dead: Flight 462 is a separate web series to introduce a new character, the survivor, into the TV series. Part 1 is short, under a minute and a half. It does convey the thrills and suspense to carry over into the next webisode. I personally felt this video should have been at least 5 minutes long instead of a meager minute and a half trailer long duration. We can hear some zombies and screaming in the far background. Tell us what you think of this first video. If you are wondering what is programmed on your favorite TV network for Halloween 2015, then this list is for you. The folks over at Daily Dead have put together a great list of Halloween TV programming. 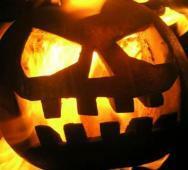 Check out the list to see some classic movies, new films, and lots of Halloween themed features. You are bound to see at least one good pick daily. Lionsgate pulled in a modest $42 million domestically with Cabin in the Woods (2012) which is still a good return. Now Lionsgate has contacted writer/director Drew Goddard to see what he and Joss Whedon might have in store for us regarding a sequel. It may be hard to make a sequel with the events that transpire into the ending of the film, but we can definitely keep hopes high for some kind of a prequel. I don’t care what they do, all I want is to see more of the creatures/monsters from Cabin in the Woods. What do you think of this news? Scared Kids Video - Is This Mean or Too Cute? 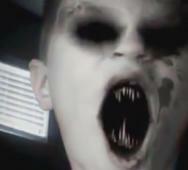 Watching this video with scared little kids should not be this funny but it is. You cannot help laughing when watching these small children get scared at watching themselves transform into a scary little beast via phone apps. I have to admit that these kids are incredibly cute, then they change into little devils, and it is like night and day. Leave us a comment below telling us which one was your favorite. Nerdist Presents The Hive (2015) is a very exciting horror thriller film with the potential to be good. Director David Yarovesky released a trailer a few weeks back, and I was thrilled to see the movie since. So far, I am hearing positive reviews about this film. 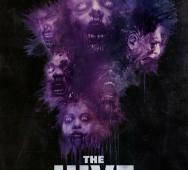 The Hive released on iTunes, Google Play, Vimeo, Amazon, Playstation, and Microsoft Movies this September 28, 2015, while the On Demand releases on October 12, 2015. The Hive stars Gabriel Basso, Talitha Bateman, and Stephen Blackehart. Morgan Creek has took to their Twitter account to confirm that they will not be remaking The Exorcist (1973). The tweet was sent to the director of The Exorcist, William Friedkin. 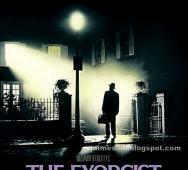 Maybe this is not going to be a remake but that does still leave open the possibility of some kind of Exorcist sequel. 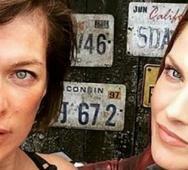 Milla Jovovich (Alice) and Ali Larter (Claire Redfield) shared a new set photo for Resident Evil: The Final Chapter (2017) with the two girls in full costume. This picture confirms the return of Larter as Claire Redfield. Director Paul W.S. Anderson pushed back the theatrical release date to January 27, 2017, after a delayed production due to the unexpected pregnancy of the leading lady. No photo of Wentworth Miller yet, but I am sure that Jovovich will make that photo her next goal. 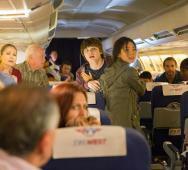 AMC has announced that they will unleash the Fear the Walking Dead: Flight 462 web series. Imagine zombies aboard an airplane with survivors having to be creative to survive, if they can. The zombie web series will debut on October 4, 2015, spanning 16 episodes long. One of the survivors will join AMC’s Fear the Walking Dead Season 2 cast. Paul W.S. Anderson and Milla Jovovich have started principal photography on Resident Evil: The Final Chapter (2017) in South Africa and we now have the details on casting and some early plot details. In this final battle against the Umbrella Corporation, there will be new mutant monsters and an insane zombie horde. We will also get to see a return of the cast (full details below) and the inclusion of an unlikely ally. Resident Evil: The Final Chapter releases in movie theaters on January 27, 2017. Starring in Resident Evil: The Final Chapter (2017) is Milla Jovovich, Wentworth Miller, and Ali Larter. 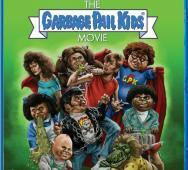 Scream Factory is releasing The Garbage Pail Kids Movie Collector’s Edition Blu-ray, what?! This Blu-ray is a special edition of The Garbage Pail Kids Movie (1987) releasing on December 8, 2015. Bonus features are yet to be revealed, but we will post once details are released. The Garbage Pail Kids Movie is directed by Rod Amateau with Anthony Newley, Mackenzie Astin, and Phil Fondacaro starring. Joel Edgerton‘s The Gift (2015) mystery thriller movie releases on Blu-ray, DVD, Digital HD and on Demand this upcoming October 27, 2015, via Universal Pictures Home Entertainment. 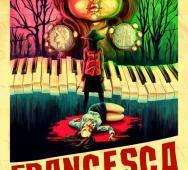 If you have not already heard of this movie, you have to see it. Joel Edgerton as Gordo delivers a very creepy/sinister performance. The Blu-ray / DVD comes with an alternate ending, deleted scenes, commentary from director Joel Edgerton, a darker side of Jason Bateman featurette, and karma for bullies featurette. 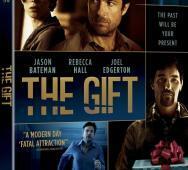 Jason Bateman, Rebecca Hall, and Joel Edgerton star in The Gift. Guillermo del Toro PACIFIC RIM 2 Delayed Indefinitely! What?! Pacific Rim 2/Pacific Rim: Maelstrom was chugging along well then bam, delayed indefinitely. So once again, visionary Guillermo del Toro has thought up of a terrific film that the film studios thinks is too large to make, similar to the Hellboy 3 news. 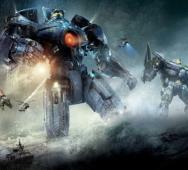 The first Pacific Rim (2013) movie had an estimated $190 million budget and grossed an estimated $411 million worldwide. I guess this was not enough profit for the film studios to invest in continuing the Pacific Rim story, really? Film studios want to shell out less than $5 million and rake in $100 million in theaters alone. Don’t we all but quality demands financing. What happened to the DVD, VOD, and other sales? Greed and no vision. All in perspective, Legendary Pictures is gearing up to make a Godzilla vs King Kong movie so I bet they are going all out to make that movie, and they just do not want to spend more money right now. Stephen King's THE MIST TV Series in Development! Master of Horror Stephen King is getting a lot of love from the film industry with another TV series in development, The Mist TV series. Dimension Television (Scream TV series) is developing the TV series with Christia Torpe writing. 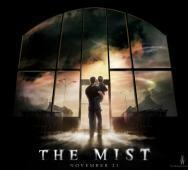 The series will merge the best from 1980 The Mist novel and the 2007 movie adaptation. Sources say that Stephen King is happy with what is going on and gave his blessings. The Wrap reported “the series will tell an original story about a seemingly innocuous mist that seeps into a small town but contains limitless havoc. From psychological terrors to otherworldly creatures, the mist causes the town residents’ darkest demons to appear forcing them to battle the supernatural event and, more importantly, each other.” I am stoked to see what develops but hope they do not drag on a series with fillers.